Searching through Japanese listings for I"s products, I stumbled upon something that I think very few people know about. I myself was far from sure exactly what this was at first, but one thing was for sure - a novelization for our beloved series. For any curious, here's where I found it. 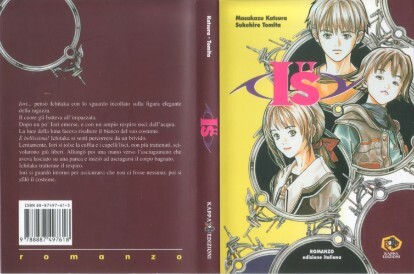 The story of the novel is essentially an alternate-reality volume 1 of the manga. Whether this is true to the extent that you could read it and then pick up with volume 2 and everything still be coherent or not, I'm unsure. Picking up after briefly describing the opening events of the series, the novel quickly moves into it's own gear. Early in the novel, Iori invites Ichitaka to the park, presumably to discuss their project for the New Student Planning committee. A short time passes, and a childhood friend of Iori's, Isao Kaneko, appears, and begins throwing wrenches into Ichitaka's plans. Though neither Iori nor Ichitaka know it, Isao is in love with Iori as well, and uses many dirty tricks to try and get Ichitaka away from her, even going as far as saying her parents are behind him on their getting married (apparantly his father and hers are business partners). 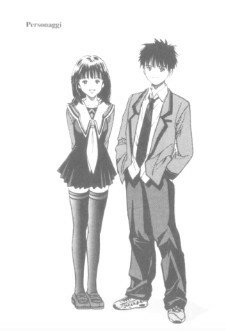 On top of all of this, Ichitaka has his own problem, trying to help a childhood friend of his, Kanako Asagiri, face personal problems, somehow 'betraying' Iori in the process. I'm not sure how the story resolves itself, as Andrea did not spoil me on that part, but for now I like it that way - eventually I will ask and probably put it here as well, since the chances of us ever getting the novel released domestically in the US are slim, but for now it adds to the mystique. 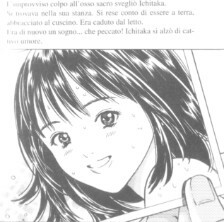 At the end of the novel, Itsuki makes a brief appearance, just as she did at the end of volume 1 of the manga, further lending to this being an alternate opening for the series. It's hard to say for sure whether some of what I'm thinking is true, but if any of it was come up with by Katsura, then I'd be willing to consider it canon, even if it only came up in this alternate reality opening. It's nice to finally see something on Iori's parents. They're never seen in the original manga, and are only briefly mentioned, supposing that they're rather strict. For some reason I always got the feeling they were well off too, and her father being a business-man syncs perfectly with that. I also can't help but notice the similarities in names between the two novel original characters, Kaneko and Kanako. Given the symbolism between the 'I' names, I think there's got to be something here too, even if it's just that they both interrupt the beginning romance between Ichitaka and Iori. This section may be updated further as I think more on it. Please note that these are all from the Italian translation. I really like the cover of the book, though I wold have liked one or both of the new original characters to make the cover (so we'd know what they look like) rather than Itsuki, who barely appears in it. 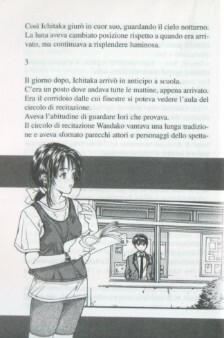 The front flap is a description of the book (in Italian), while the back is a note on Masakazu Katsura and Sukehiro Tomita, who I assume is the actual novelist author for this. I can't read Italian, but looking on ANN about him, it appears he's been a script writer on many anime, including Yu Yu Hakusho, and even did the screenplay for the second and final YYH film. All three pictures were taken from somewhere in the manga. The first is from a bonus picture I believe, while the second...I think...is from the beach trip in volume 2 or 3, while the last is from chapter 1 I believe. For the sake of compiling, here's other physical information the book listing has. For being such a small series, I"s has a lot of things out for it that I was not aware of for a long time, and continue to have problems getting exact info about. Much like the I"s artbook, I didn't even know this novel existed until fairly recently. I hope to at least own a copy for the heck of it one day, but for now, I'm satisfied to have learned even a little more about it.